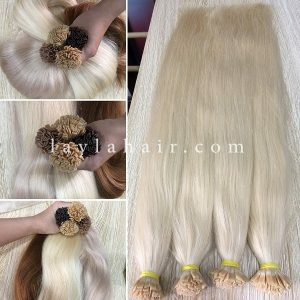 With Vietnamese hair Keratin Tip Hair from Layla Hair, one can easily add highlights or lowlights to create customized hair look. Less maintainance appointments are needed so you can save a lot of money for other vacations! As you know, with Keratin Tip is made of the same naturally occurring protein found in your hair, therefore, it will help to protect your natural hair strands.